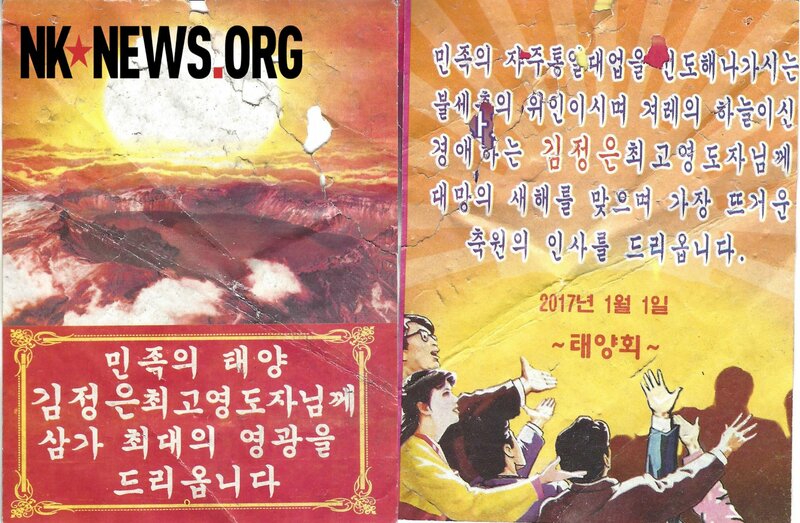 Propaganda leaflets, likely sent by balloons from North Korea, were found in central Seoul over the weekend, one of which contains sexually explicit cartoons depicting now-impeached South Korean President Park Geun-hye. The leaflets were found on the way from Grand Hyatt Seoul hotel to the Hannam-dong neighborhood of South Korea’s capital, and are part of an apparently escalating campaign by the North to spread its message in the South. “This present campaign may be the longest sustained balloon initiative on the part of the North Korean government in the past 10 years—or, more accurately, the most successful initiative in terms of flyers regularly reaching Seoul,” Pastor Eric Foley, CEO of the Voice of the Martyrs Korea, told NK News. 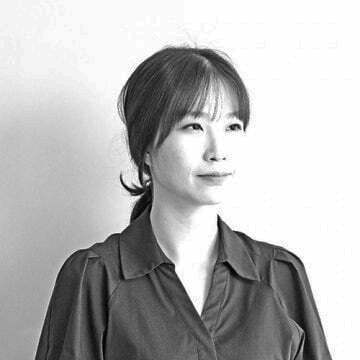 Shim Jin-sub, Professor at the Korea National University of Transportation, also said it’s “easy to send the leaflets” during the winter due to the general direction of the wind from North to South. 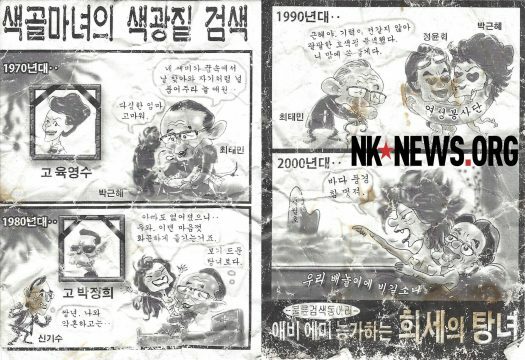 While this is not the first time that North Korean propaganda leaflets have attacked Park, the cartoon is exceptionally explicit, depicting romantic relationships Park is said to have had since the 1970s. 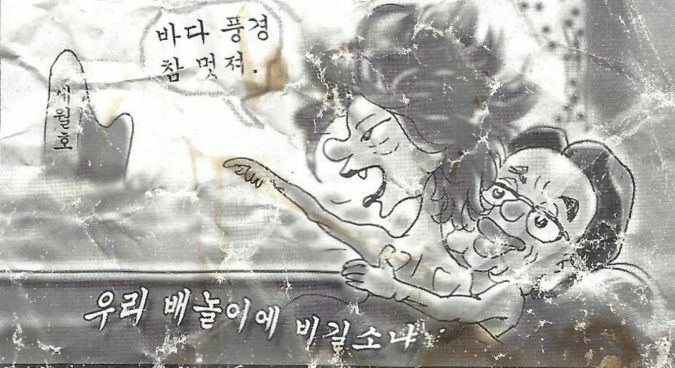 Describing Park as a “notorious woman of loose morals and oversexed witch,” two pieces of the cartoon showed Park’s romantic liaisons with Choi Tae-min, the father of Choi Soon-sil and the founder of the Church of Eternal Life. Next to a portrait of Park’s mother Yuk Young-soo, the leaflets refer to rumors that Mr. Choi initially approached Park claiming that her mother had appeared in his dreams and asked him to take care of her during the 1970s. The flyer also described Park sitting on Mr. Choi’s lap in front of a portrait of her father, Park Jung-hee, during the 1980s. The third section of the cartoon depicts Park’s alleged romantic involvement with Chung Yoon-hoi, the ex-husband of Choi Soon-sil, during the 1990s. Mr. Choi stands next to them, telling Park that he found Chung for Park as Park would “have a hard-on for” Chung. The last piece showed Park and Chung in bed during the Sewol ferry sinking. 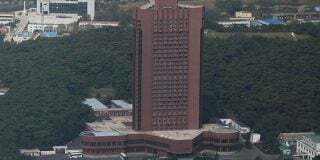 Tatsuya Kato, the former Seoul bureau chief of Sankei Shimbun, was indicted on defamation charges but acquitted after reporting rumors that Park had been romantically involved with Chung, a former aide. 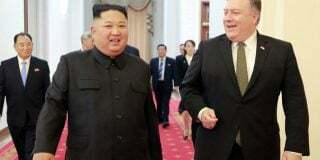 But Shim Jin-sub, an expert in the field of North Korean psychological warfare, said that the leaflets were unlikely to be effective in the South. 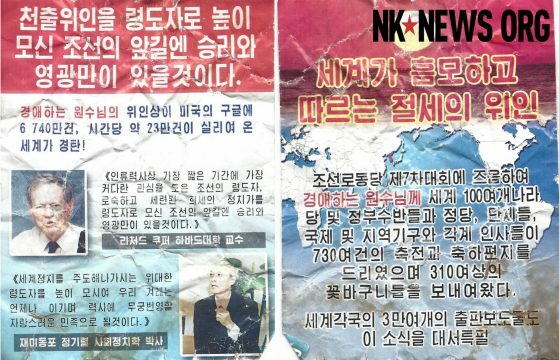 Another leaflet depicted Richard Cooper, a professor of international economics at Harvard University, allegedly praising North Korean leader Kim Jong Un. “There will be only glory in the future of Chosun which has a leader who attracts the greatest interest in the shortest period of time in human history as well as who is an extraordinary politician with maturity and sophistication,” the leaflet quoted Cooper as saying. It’s not clear in what context Cooper, said this, or even if he said it at all. 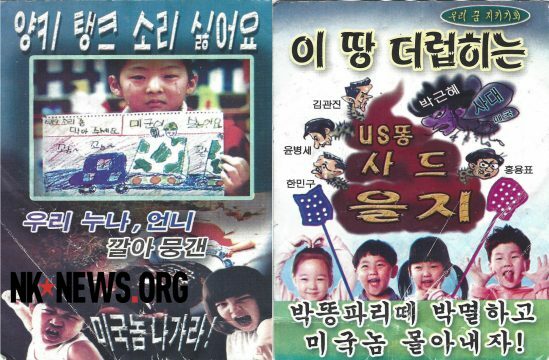 Graphic pro-North Korea leaflets also bashed the United States. One leaflet, entitled “I hate the sounds of Yankee tanks”, shows a young boy holding a drawing of a U.S. soldier and tank. The flyer also depicts the deaths of two schoolgirls crushed by a U.S. armored military vehicle in 2002. The so-called Yangju highway incident happened 14 years ago today. On the reverse side of the leaflet, Park is portrayed as a dung fly flying toward a pile of feces with the words “U.S. poop”, “THAAD (Terminal High Altitude Area Defense)” and “Ulchi Freedom Guardian (UFG)“. South Korean National Security Advisor Kim Kwan-jin, Foreign Minister Yun Byong-se, Unification Minister Hong Yong-pyo, and Defense Minister Han Min-koo are depicted as maggots. 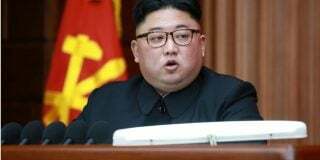 Notably, the flyers praised Kim Jong Un using South Korean-style language, in a move to more effectively appeal to an audience in Seoul. “[We] extend our warmest greetings to the dear respected supreme leader Kim Jong Un as ushering in the long-awaited New Year,” the leaflet read. But it suggested that an organization named Tae-yang (meaning sun) produced the flyer on January 1, 2017. Another leaflet showed an acrostic poem praising Kim Jong Un. The poem used Korean vowels a (아), ya (야), eo (어), yeo (여), o (오), yo (요), u (우), yu (유), eu (으), i (이), and South Korean spellings. Another flyer, written in the South Korean dialect, called for national solidarity in a bid to achieve unification on the Korean Peninsula. 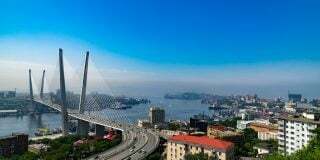 “Each party and organization in the North and the South should create an atmosphere of reconciliation and unity by realizing contact, comings and goings as well as solidarity and coalition,” the leaflet read. Solidarity and coalition were also spelled in South Korean style like “Yeon-dae” and “Yon-hap“. Subscribe to read the remaining 995 words of this article.